Fred Anton Maier (15 December 1938 – 9 June 2015) was a Norwegian speed skater. 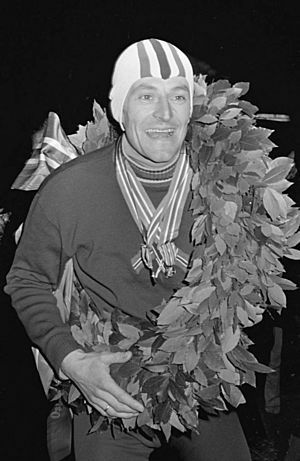 He won four Winter Olympics medals in 1964 and 1968. He was also a cyclist. He was born in Nøtterøy, Vestfold. Maier died from cancer on 9 June 2015 in Nøtterøy, aged 76. Fred Anton Maier Facts for Kids. Kiddle Encyclopedia.